Do you find yourself feeling less high with your regular dose of weed? You are not alone. There are physical and energetic components that ground us with sustained cannabis use. But, there are ways to shift back into that gooey, expanded feeling. Some of these options involve more money, some involve less cannabis, and others apply breathwork to remind us of the awesome psychedelic experiences that cannabis can unlock. 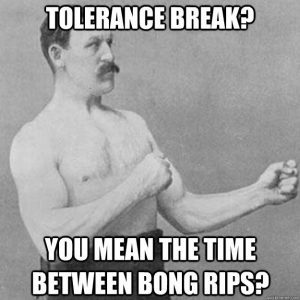 For many cannabis enthusiasts, when you aren’t feeling the “high,” it is just time for a little tolerance break. Unless you have your own plants, your pocketbook will also thank you! Scientific researchsuggests that resetting your cannabinoid receptors takes anywhere from 2 to over 30 days, depending on cannabis consumption, body type, and the first letter of your last name. Well, maybe not the latter! Quicksilver Scientific founder, Dr. Christopher Shade, recommends pulsing cannabis even if it is pure, non-psychoactive CBD oil to avoid over stimulating the endocannabinoid receptors. Try pulsing your cannabis use, especially if you are riding the micro-dosing bandwagon. Dr. Shade’s research suggests that cannabis use is optimized when you pulse using it for 5 days followed by 2 days off, or 10 days on and 4 days off. Give it a try. This is even true for people who are “just” using pure, non-psychoactive CBD products. Are you a pulser or a micro-doser? Use more cannabis, this will cost you, unless you grow your own. You may also just be shifting your tolerance to a higher level. If pulsing or taking a break isn’t medically, or otherwise a feasible option, you can play with your elevation status by adding more cannabis to your day or changing delivery methods. If your preference is bud, pick a strain with a high THC content like Headband, White Lightening, Blue Dream or Ghost OG. Many sativas have more than 20% THC these days, so ask your friendly budtender for a recommendation. Edibles, vape pens/cartridges, shatter, budder and Phoenix Tears also come in sativa, indica and hybrid varieties. Sometimes they are strain specific, so the selection is yours to make, take and enjoy. While you are branching out to different cannabis varieties, consider a new delivery method. As a veteran joint smoker, a bong, or dab may shake things up. If your high comes mainly from edibles, consider investing in a vape pen. Like iphone cases, these handy little devices come in every size color and style from ergonomic and waterproof (for swimmers) to posh Beverley Hills style diamond-encrusted. Combining smoking and enhanced foods generally sustains a longer high feeling. In the time it takes the liver to metabolize all the compounds in an edible, all of the body’s CB1 and CB2 receptors are dancing. Smoking generally creates a quick fast high, while foods and drinks are more sustaining. Overlap the two for a time modified-release, and the active ingredients stay in the bloodstream longer. 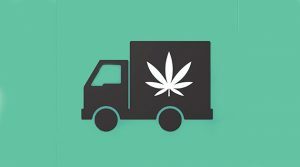 Yes, delivery matters, especially if you are toking on a cannabis budget. In this case, delivery is not having your weed or Chinese food (with fortune cookie) brought to your house, but the way in which cannabis is ingested, and taken up by your body. How much is absorbed is relative to the strain’s chemical characteristics. If you compare the same bud across delivery methods, a University research groupfrom the Netherlands suggests that joints require 20% more plant material than a volcano for the same effect. Vaporization of THC through a volcano device is maximized, but there is a $500 initial investment for the machine. Dabs deliver more THC, as it uses extracted oil, not flower. One dab could send you to Jupiter and back, as most doses start at + 50mg THC. Breathing happens pretty regularly to most people. It is one of the first things, and one of the last things that humans do while on earth. According to theoretical physicist Lawrence Krauss, the air we breathe is recycled so that an estimated 99 out of 100 of our breaths contain molecules from Caesar and Cleopatra. Life is breath, and breath connects us beyond space and time. That is pretty amazing whether you are high or not. There are numerous references in ancient texts about our special relationship with air. For instance, God breathing life into Adam, and the practice of pranayama, which is breath control applied in the yogic traditions. Breathing and cannabis use may seem like an odd pair, however, delta1-trans-tetrahydrocannabinol (Delta1- THC), Delta-9’s cousin, opens the lung passages, which increases the oxygen exchange rate (in the alveoli, the smallest sac-like-unit of a lung where the air passes into the bloodstream). Yes, you read that correctly, cannabis may increase your oxygen intake, even though published scientific research on this topic is still nascent. But there is more. Just breathing can get you stoned.So if breathing alone gets you stoned, then does breathing while high get you stoned, stoned? That is for you to find out. Click on the image below to watch a 2 minute video. Q: Which breathing technique is best? Start by enhancing yourself with cannabis, and seek a quiet place to sit or lay down. Minimize any distractions, especially from electronic devices. Close your eyes and watch your breath. Inhale and exhale as if there is no tomorrow. 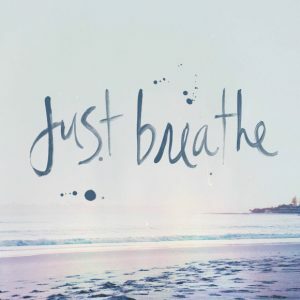 Then breathe again, because you can. Watch the ebb and flow of air, like an observer watches waves at the beach. You may want to find an online guided meditationif you prefer a personal narrator. Music, incense, and yoga pants are optional. Continue breathing and relaxing. In essence, you are practicing Sivasana, the yogic corpse pose. If you have already played with observing your breath like this, then venturing into breathwork or pranayama is worth exploring. While there are stylistic differences between the yogi- inspired pranayama, and the modernbreathwork techniques, the essence is the same, no matter what the name, ritual or pattern may be. Some methods emphasize the exhale, some the inhale, some the space in between, and every variation of breath length and speed you can think of. Pick one breathing technique, as if you are picking a winning racehorse, and enjoy the ride. 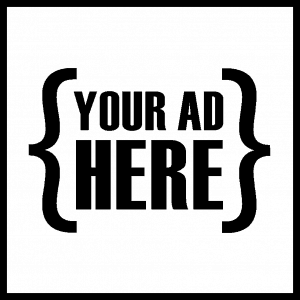 The state of your cannabinoid enhancement is up to you. Disclosure: your relationship with cannabis may change. Everything Our Parents Told Us Was Wrong!